(VNA) National Assembly Vice Chairman Tong Thi Phong received visiting US Senator Christopher S. Bond in Hanoi on January 11. At the reception, the NA Vice Chairman said she was pleased with the current developing ties between Vietnam and the US as well as the effective cooperation between the two countries’ parliaments in sharing law-making experiences. She expressed her wish that in the coming time, the two sides will continue to expand their cooperation and hold more dialogues on such issues as energy, environment, crime prevention and addressing the war consequences. (VNA) The Vietnam-US relationship over the past 15 years is one of the bilateral ties that has seen the most rapid and practical developments, said Vietnamese Ambassador to the US Le Cong Phung. 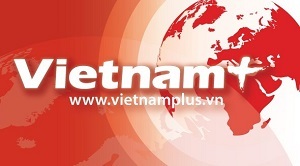 Ambassador Phung told a Vietnam News Agency correspondent that 2009 was an eventful year for the bilateral relationship between Vietnam and the US despite no official high-ranking meetings. (VNA) Vietnam and the US discussed ways to elevate their defence cooperation to a new level during Defence Minister Phung Quang Thanh’s visit to the US from December 10-15. On December 15, Defence Minister Thanh held talks with his American counterpart Robert Gates at which they touched upon a wide range of issues in the bilateral defence ties together with regional and international issues of mutual concern. (VNA) Vietnam and the US agreed upon a number of measures to lift bilateral defence cooperation to a new level, said Minister of Defence General Phung Quang Thanh. In an interview granted to the Vietnam News Agency (VNA) following his official visit to the US from Dec. 10-15, Minister Thanh said he held frank, open and constructive talks with his US counterpart Robert Gates. Defence ties form part of the Vietnam-US bilateral relationship and do not affect any third country, the minister elaborated. 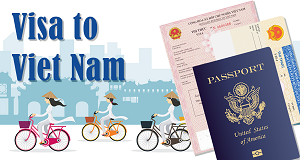 (VNA) The relationship between the US and Vietnam is pretty new, since it has been normalized just 15 years ago, but it has developed quite rapidly, said Deputy Assistant Secretary of State Scot A. Marciel. In an interview granted to Vietnam News Agency's Washington-based reporters on Dec.16, Marciel said that it “has evolved in a relationship in which we cooperate in a very wide range of issues". (VNA) Vietnam and US discussed openly and frankly issues of mutual concern relating to human rights during the 14 th round of the annual dialogue on human rights between the Vietnam Foreign Ministry and the US Department of State in Washington on November 10. The issues in question included regional and international human rights mechanisms, religious freedom, freedom of establishment of organisations, and freedom of expression. The two sides also touched upon possibilities to enhance bilateral cooperation, that are suitable for each country’s requirements and capacity. (VNA)The US Deputy Assistant Secretary of Defence for POW/MIA affairs, Robert Newberry, during his visit here from Nov. 9-13, turned over a number of personal items believed to have belonged to Vietnamese soldiers fallen during the US War. (VNA) Vietnam will continue to make active contributions to the development of the ASEAN-US relationship, both bilaterally and multilaterally, especially in 2010 when the country assumes its role as the ASEAN Chair. State President Nguyen Minh Triet made the statement at the first ASEAN-US Leaders’ Meeting held in Singapore on November 15. The Vietnamese State leader emphasised the importance of maintaining regular dialogues between ASEAN and the US at the highest level for the benefits of both sides. (VNA) State President Nguyen Minh Triet on Nov. 18 received former US President Jimmy Carter and his wife who were in Vietnam to launch a campaign in which volunteers build houses for the poor. President Triet applauded the assistance from Carter, his wife Rosalynn and the volunteers of Habitat for Humanity International (HFHI) for the project to build homes for poor families. Vietnam welcomes and creates all favourable conditions for international organisations, including HFHI, to perform charitable humanitarian activities in the country, he said. (VNA) Deputy Prime Minister Truong Vinh Trong launched a two-day programme titled “Meet Vietnam” in San Francisco , California , on Nov. 15, which aims to promote cultural exchanges and economic cooperation between both countries. The programme includes a series of cultural events, investment promotions and joint educational activities between the two countries.